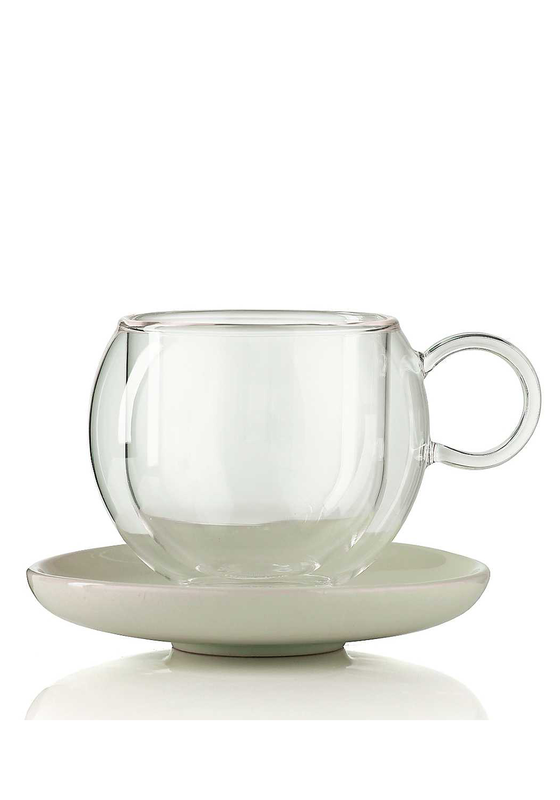 La Cafetiere present a stylish bola cup and saucer. The bola cup is made from a double walled glass material which means it will keep your drink warm for longer. The matching saucer is made from a luxurious porcelain. 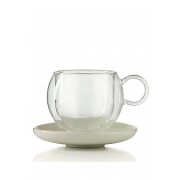 This small cup is the perfect size for a strong expresso coffee.